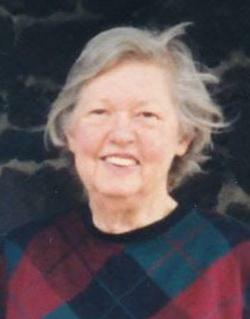 Nellie Jenson Adams, 90 passed away December 3, 2010 in Mesa, Arizona. Nellie was born March 3, 1920 in St. George, Utah, the oldest of three daughters, to Edgar M. Jenson and Ivie May Gardner Jenson. Nellie married Herman Adams on July 20, 1950 in Provo, Utah. They resided in Enterprise until 1963 when they moved to Parowan. They were sealed on July 5, 1990 in the Jordan River Temple. She graduated from BYU with a degree in English and Elementary Education. Nellie taught in elementary schools though-out southern Utah. She retired in 1983 as a special education teacher in Parowan. She was a natural teacher and an influence for good in the lives of her students and children. She loved literature, the arts, nature and the beauty of southern Utah. While teaching in St. George, Utah, Nellie illustrated the book "Under the Dixie Sun". During World War II she worked as a secretary at the Navel Supply Depot in Clearfield, Utah. She loved her family, colleagues and friends, and inspired the love of learning in her children. After retirement Nellie enjoyed working in the name extraction program for many years. She was preceded in death by her husband, Herman Adams and her sister Beverly Jenson. She is survived by her sister, Gloria Jenson, three children, Keith (Jolene) Adams, William Adams, Deanna Adams, five step-grandchildren, Melanie (Adam) Arp, Marcia (Allen) Brant, George Henry (Rachel) Bowser, Melisa Doston, Monica (Brian) Myers and 14 great grandchildren. Funeral services will be held on Saturday, December 11, 2010 at 1:00 pm in the Parowan Stake Center. A viewing will be held from 11:30-12:30 pm prior to services at the church. Burial will be at the Parowan City Cemetery under the direction of Southern Utah Mortuary.